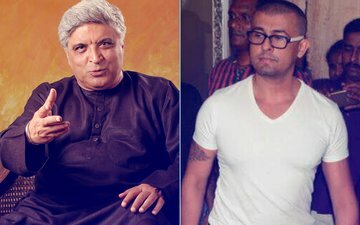 Sonu Nigam's security has been beefed up since the past few days after Maharashtra State Intelligence Department issued an advisory to the Mumbai Police citing security threat to the ace singer and two other Bharatiya Janata Party leaders. The reason for being Sonu's comments last year on the usage of loudspeakers for Azaan (Muslim payers). Now, Javed Akhtar - with whom Sonu has worked numerous times - has taken the stand alongside him and condemned the use of loudspeakers for Azaan. Akhtar took to Twitter to share his feelings. He said, "This is to put on record that I totally agree with all those including Sonu Nigam who want that loudspeakers should not be used by the mosques and for that matter by any place of worship in residential areas (sic)." Just to be clear, Javed and Sonu, both have been condemning the use of loudspeakers for any religious place of worship, which is situated amidst any residential area. Despite being born as Muslim, Akhtar has reiterated that he did not believe in religion at all and considers everyone equal. This is the first time he has taken a stand or expressed his opinion on a topic bordering on religion. Talking about Sonu Nigam, religious fanatics hadn't taken his comments well. Maulvi Syed Sha Atef Ali Al Quaderi, Vice President, West Bengal Minority United Council, had even gone ahead and offered Rs 10 Lakhs to anyone who would shave off Sonu's head. Sonu challenged the Maulvi and got his head shaved, but the Maulvi backed out from keeping his share of the bargain. Since last year, the singer has been on the radar of religious fundamentalists. With Akhtar now joining the protest, will he too face the same fate? Only time will tell.